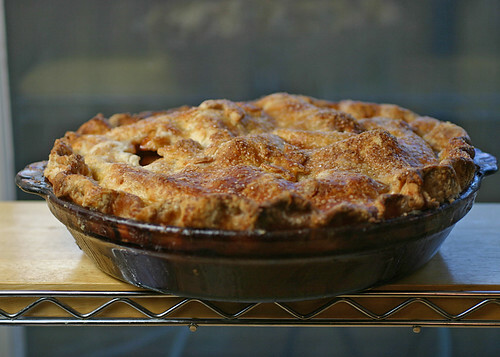 4 & 20 Blackbirds’ Salted Caramel Apple Pie! This pie won us over the minute it hit our lips. I had to make it five times in one month. We honestly couldn’t get enough! Literally love at first bite! I’ll never make another plain apple pie again. 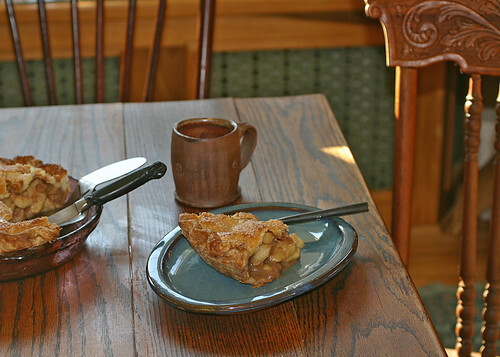 4 & 20 Blackbird’s Salted Caramel Apple Pie! You’ll first want to make a double recipe of this crust. make sure you keep it wrapped up and cold until you’re ready to roll it out. Let sit for 20-30 minutes so they release some of their juice. While the apples soak, roll out your crust and set back in the fridge. Mix well then place in the bottom crust. Place on top crust and crimp the edges and slit the top here and there. Place pie in fridge for 10-15 minutes. Move pie to center of the oven and bake for another 30-35 minutes or until the crust is a nice brown and the filling has bubbled up. Allow pie to cool for 2-3 hours, if you can. Very interesting. How is it different than the original? It looks delicious! Making it again for a weeknight dinner party! Great go-to dessert!